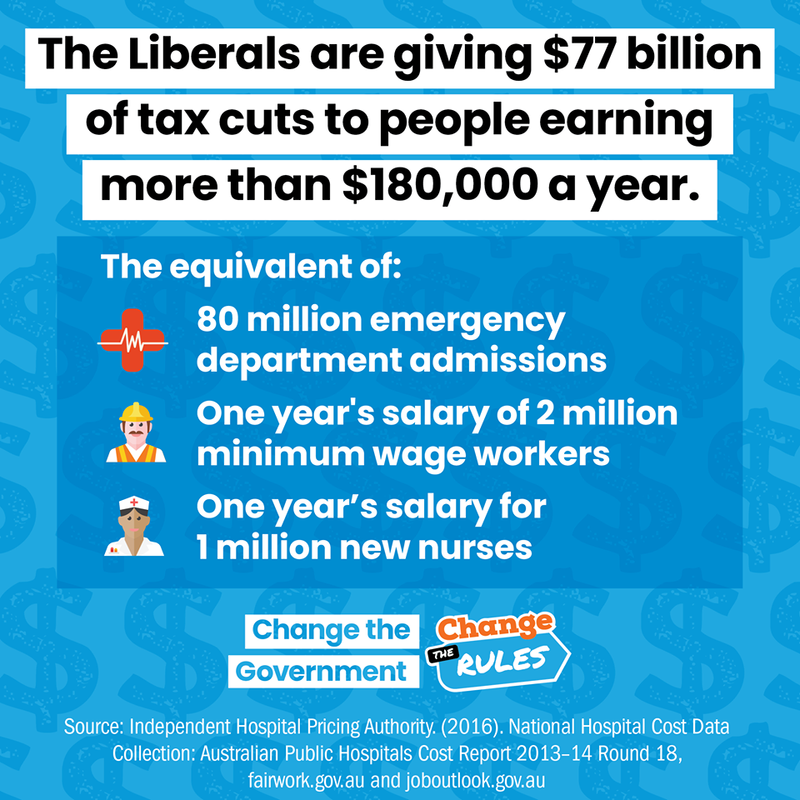 Scott Morrison has promised $77 billion of tax cuts to those earning over $180,000 a year. This is the equivalent of 80 million emergency ward admissions, a year’s salary of two million minimum wage workers or one year’s salary for 1 million new nurses. And the LNP will have to cut $40 billion from services like schools, hospitals & pensions to deliver the tax cuts. We’re already battling low wages, wage theft and super theft in our workplaces – now we will have to battle for essential services. In 32 days, let’s #ChangeTheGovernment so we can all get a fair go at work.